Truck bed rails are the cherry on top when trying to complete your truck bed accessories. Style and functionality is what it's all about and you can be sure the Steelcraft truck bed rails deliver just that. Constructed from superman high grade stainless steel, you can have peace of mind knowing they have the strength and durability needed to withstand any weather condition (or fun off-roading). Functional tie off points are a must have to your truck bed because you never know what kind of cargo you'll be hauling. At home, no-drill installation! So easy, even a caveman could do it. Your truck is your baby, so thankfully these bars mount inside your existing stake pocket holes so you don't have to put new holes in your truck. 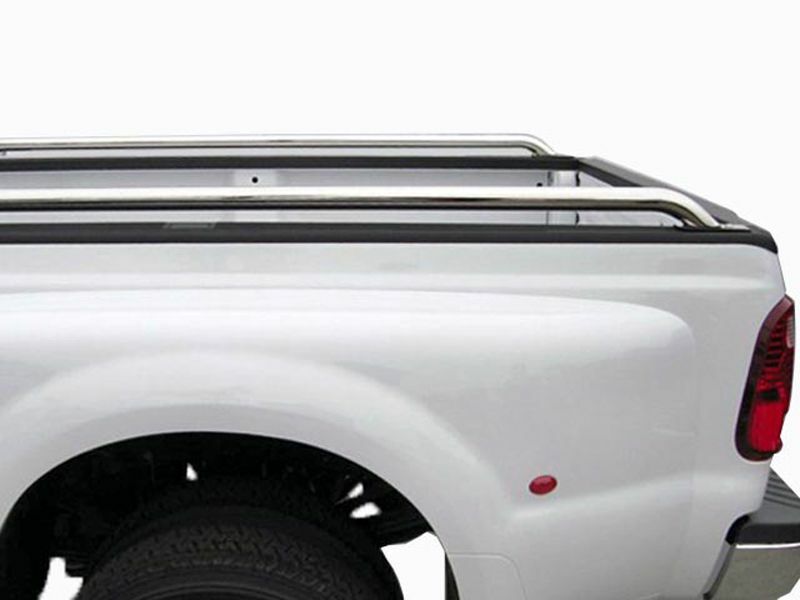 Enhance the appearance and functionality of your ride today with the Steelcraft truck bed rails. Steelcraft is offering a limited lifetime warranty on the Steelcraft stainless steel bed rails. The Steelcraft bed rails mount inside your trucks stake pockets offering an easy installation. For additional information please call us at 1-877-216-5446 or 701-253-5906.